Ex-Brazil President Lula sentenced to nearly 10 years in prison for corruption – Royal Times of Nigeria. 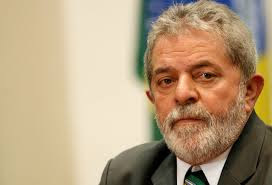 Former Brazilian leader Luiz Inacio Lula da Silva, 71, was convicted on corruption charges on Wednesday and sentenced to nearly 10 years in prison. Judge Sergio Moro found Lula guilty of accepting $1.2 million worth of bribes from the engineering firm OAS SA. Prosecutors said the company spent the same amount refurbishing a beach apartment for Lula in return for his helping in winning contracts with state oil company Petroleo Brasileiro. Moro said he did not order Silva’s immediate arrest because the conviction of a president is such a serious matter that he felt an appeal should be heard first. Lula was president between 2003 and 2010. He is one of the country’s most popular politicians and a top contender to win next year’s presidential election, the ruling is a serious blow to his chances of a political comeback. His handpicked successor, Dilma Rousseff, was impeached last year over accusations of budget mishandling.